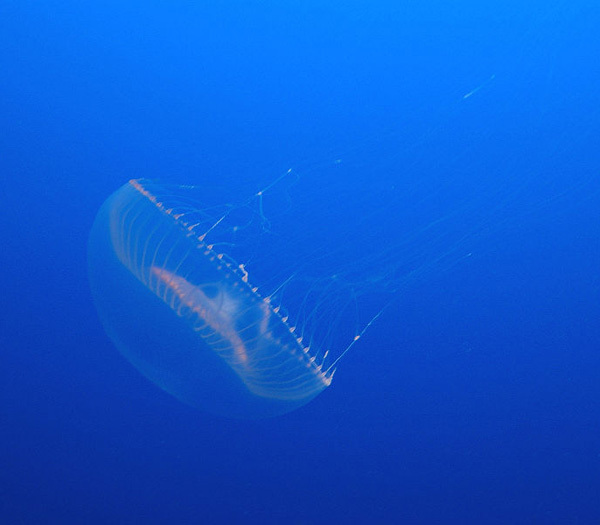 Swedish researchers have devised a way to turn bioluminescent jellyfish into solar cells. It works like this: the green fluorescent protein (GFP) that makes the Aequorea victoria glow is simply dripped onto a silicon dioxide substrate between two electrodes. 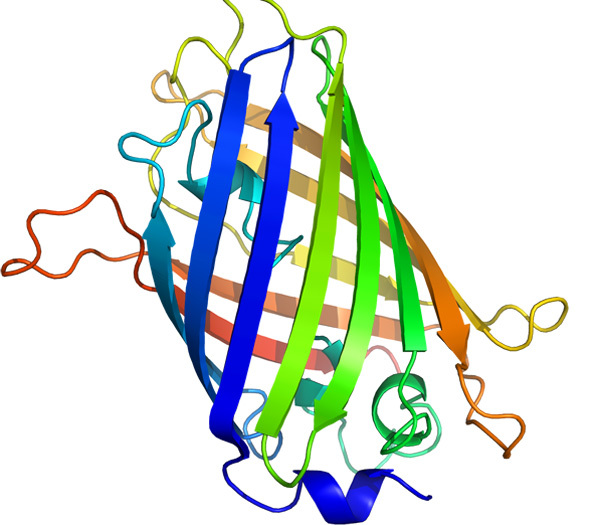 The protein works itself into strands between the electrodes. When ultraviolet light is shined on the circuit, voila, the GFP absorbs photons and emits electrons, generating a current. 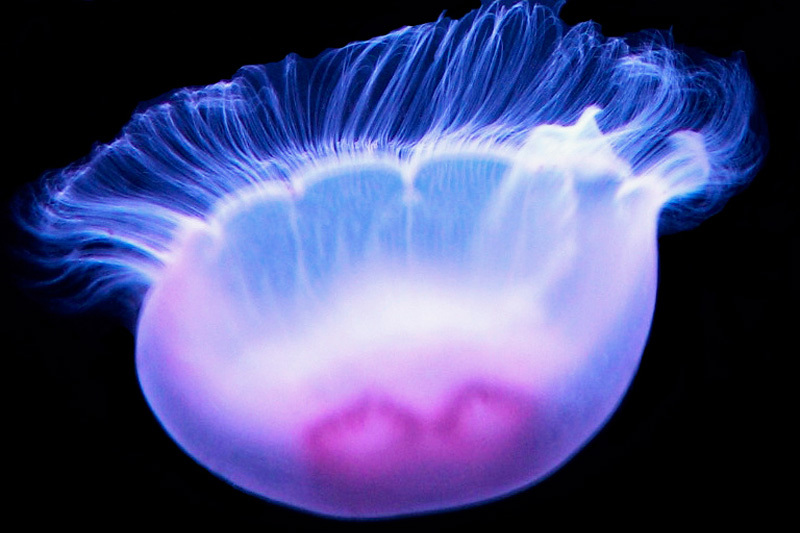 As much as Inhabitat is skeptical about using animals as raw materials, this is an intriguing discovery because jellyfish are increasingly overpopulating the oceans as the waters become too toxic and acidified for more delicate species to bear. Using them to create carbon-neutral energy could potentially help restore the oceans to balance. The GFP-powered cells work like dye-sensitized solar cells, but don’t require expensive materials such as titanium dioxide. I wonder could this be done with other Bioluminescent creatures like fireflies? GFP and the rainbow of GFP derivatives can easily be made using bacteria. Jellyfish are not needed. I don't think they actually need the jellyfish to get GFP; I think it's been worked into a monkey genome, for instance. It would be pretty trivial to splice the GFP gene into a bacterium and have some sort of extraction system.